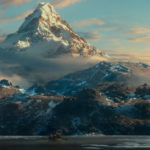 “The Hobbit” chapter 5, “Riddles in the Dark,” marks a turning point in the careers of not only Bilbo Baggins, but J.R.R. Tolkien. Here it is: the scene that marks a turning point in the careers of not only Bilbo Baggins, but author J.R.R. Tolkien. For this, unlike any other part of The Hobbit, is one the author himself chose to change — an author-originated “retcon,” to make it better fit The Lord of the Rings. Bilbo still finds the Ring on the tunnel floor, and Gollum still finds that he has lost his precious. But the slimy creature is actually disappointed he can’t honor his bargain. Yes, Gollum doesn’t first offer to show Bilbo the way out as his reward if Bilbo wins; he actually offers Bilbo his precious ring as the prize. The alternative is still Gollum eating Bilbo. When Bilbo stumbles into a win, Gollum is more honorable of a loser! Fairly, Gollum shows Bilbo out, and Bilbo never even considers killing the creature. By that time, Tolkien was more sure that Gollum was an old, wasted hobbit himself, corrupted by his sin amplified by the Ring’s power, so Tolkien included more hints. Imagine if a modern filmmaker had made these kinds of changes, as a “gritty reboot” of Gollum. What hue and cry might readers have raised? Rather, Tolkien beat any revisionist to the punch, and in a way that demonstrates something I have slowly realized about the classic fantasy author: in many ways, Tolkien is much more of a “modern” author than people credit him for — especially fantasy fans who like things classical and serious. Either chapter version well shows Tolkien’s lighter side, even amidst a serious situation. 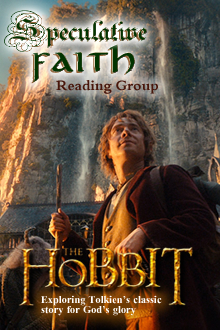 First, by the way, this also brings this reading-group series only one chapter away from the endpoint of The Hobbit: An Unexpected Journey’s adaptation of the story. Originally the film as a two-parter would have ended with the company’s barrel-borne arrival in Laketown, a clear breaking point in the story (upon which Tolkien himself remarks). Now, however, the story will end at around the “Out of the Frying Pan into the Fire” chapter, coming next. Oh, and second, expected mostly-positive reviews are rolling in like said barrels. 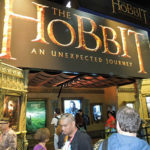 As I had mentioned last week, even the negative reviews only serve to reveal critics’ ignorance or dislike for the story altogether — which can only serve to encourage lovers of Middle-earth. Read chapter 5, pages 68 (Deep down here …) to 82 (“… we hates it for ever!”). It was a turning point in his career, but he did not know it. (page 65) Why does the author make this observation? Does it seem to be a spoiler? Have you noticed how in some stories, authors would never say this, but Tolkien does and it seems okay? Why? How does the author keep describing things in the cave, without the sense of sight? Deep down here by the dark water lived old Gollum, a small slimy creature. (page 68) Just knowing “old Gollum” lives in a dark underground pond, what may we imagine already? 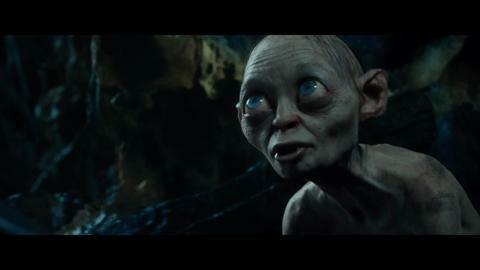 Even without the movie version, why does Gollum seem so loathsome and well-known? 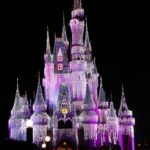 What does the Story say about seeing and confronting evil around us? Read Ephesians 5: 6-14. Does this passage seem to encourage not only rejecting sin, but avoiding anywhere sin is? What does it say about exposing the unfruitful works of darkness? Does Bilbo fight Gollum in a way similar to how Gandalf recently slew the Great Goblin? Or is the battle fought in another way? Who is more evil, really — Gollum or another? Have you been able to guess any of the riddles? How are they like ours, or different? [Bilbo] must fight. He must stab the foul thing, put its eyes out, kill it. It meant to kill him. 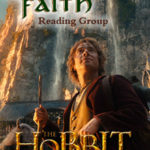 (page 82) But Bilbo decides to spare Gollum’s life. How come? Is this some anti-war line? Compare with the rest of the story. What’s different? (Answer: No, not a fair fight. He was invisible now. Gollum had no sword.) Yet also don’t forget Bilbo’s pity for Gollum. It’s great to see the original version of the riddle game! This is a fascinating discussion. Does Bilbo fight Gollum in a way similar to how Gandalf recently slew the Great Goblin? Or is the battle fought in another way? Bilbo’s fight with Gollum is a “brother battle.” I think Bilbo understands intuitively that he could have been Gollum. Also, there is enough evidence in this chapter alone to come to the conclusion that Gollum was corrupted by the Ring. (It is also hinted that he was once a Hobbit.) I envy readers of The Hobbit who could read this passage unspoiled by knowing LotR. Imagine be able to infer that the magical talisman that Bilbo has received from this evil monster is the very thing that created that monster, and that it has every possibility of doing the same to Bilbo! Who is more evil, really — Gollum or another? I wonder what is implied by this question. Maybe it goes back to the debate as to whether or not the Ring was the source of evil that corrupts people.